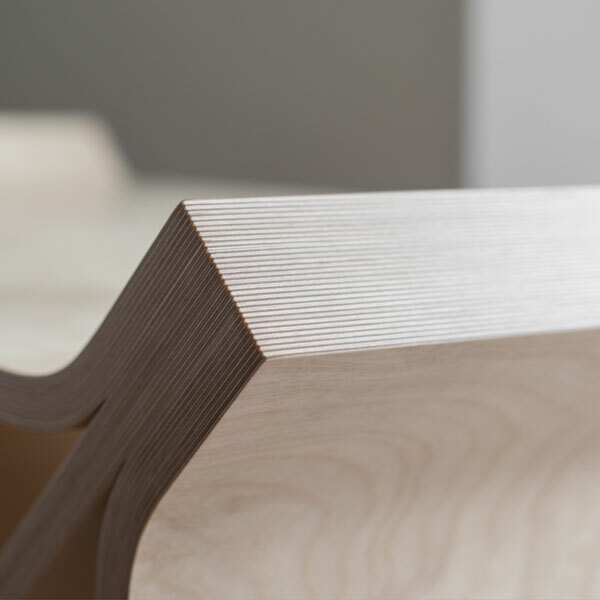 Bent ply wood furniture design project. 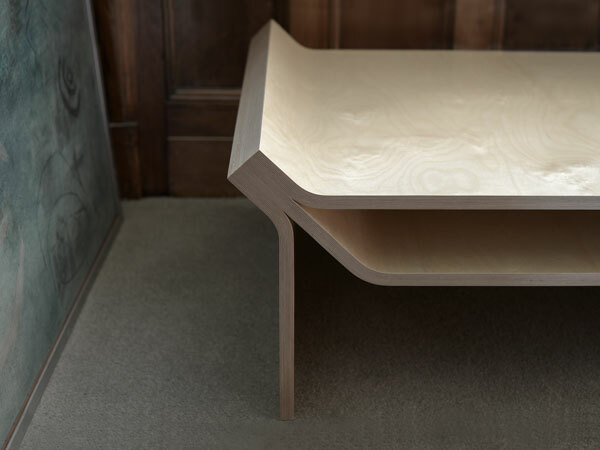 The Disstak Table is produced from slender Birch Ply sheets which converge along the only visible edge, providing the piece with visual weight whilst maintaining material efficiency. 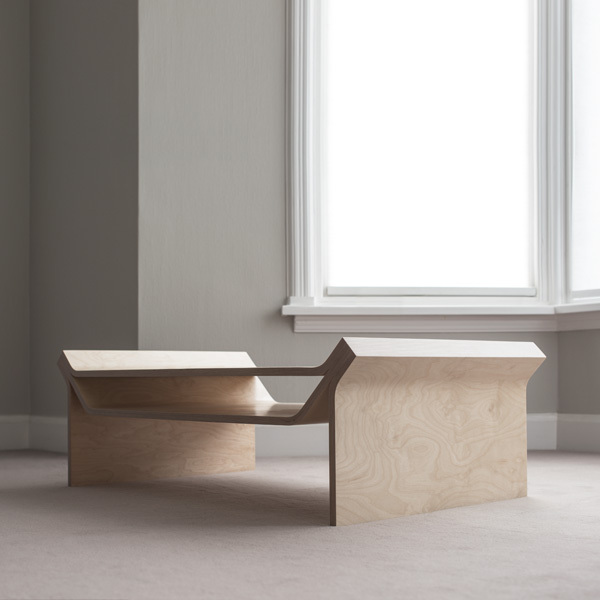 Each element of the design converges to share a common start and end point. 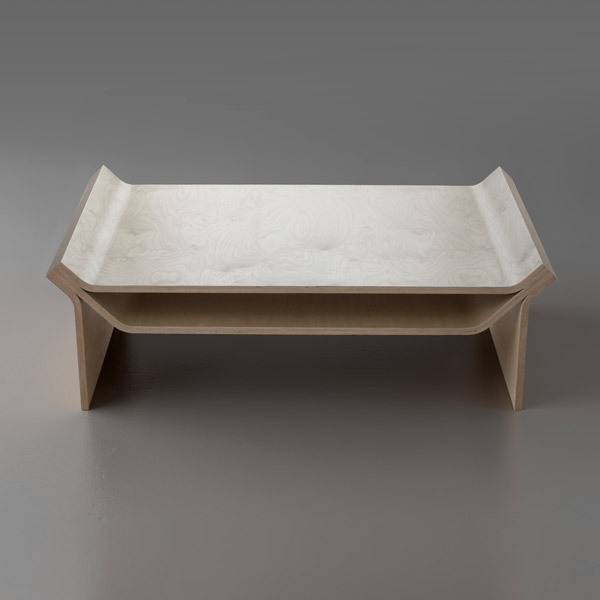 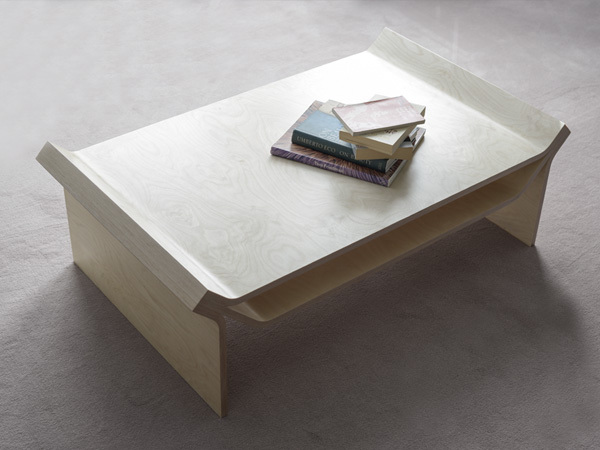 The table is a simple, yet practical, design solution which also provides a discreet storage shelf.